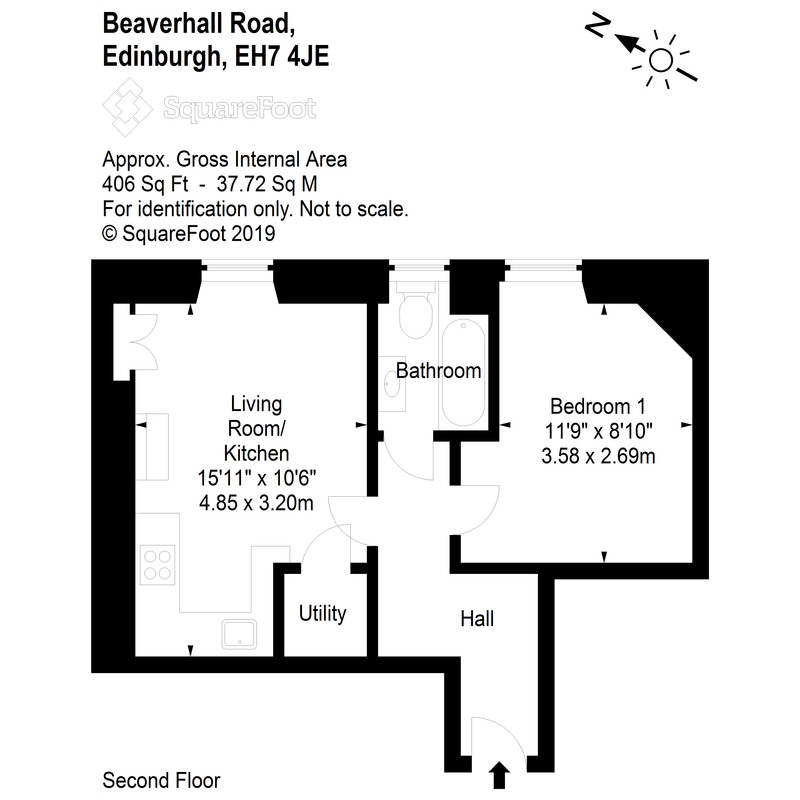 A traditional 2nd floor tenement flat handily located close to the city centre and local amenities. The flat will appeal to the first time buyer or buy to let investor. The accommodation comprises entrance hallway with a natural wood floor, open plan lounge/kitchen with the kitchen having a number of floor and wall mounted storage units and includes the gas hob, there is a cupboard which houses the washing machine, double bedroom also with a natural wood floor, bathroom that has an exposed brick wall and is fitted with a three piece suite with mixer shower. Double glazing. Communal garden to the rear. Resident permit parking.